What started as support for wounded soldiers shortly after the company's founding has evolved into a legacy of philanthropy that spans the globe. In honor of Giving Tuesday, we look at key moments when the company has helped those in need. our Thanksgiving cranberry sauce is just a sweet memory, and you survived (or avoided!) both Black Friday and Cyber Monday. But as you get swept up in even more holiday hubbub through to the New Year, consider taking some time this giving season to also focus on how you can give back to people around the world who need a helping hand. Throughout its storied 130-year history, and at all times of the year, Johnson & Johnson has mobilized in many different ways to help communities both local and global in times of crisis. From such humanitarian disasters as the Syrian refugee crisis to epic natural disasters, like Hurricane Michael, here's a look at how the company—and its employees—have given back to those in need. These stories can help serve as an inspiration for how we can all play a part in helping the world during times of crisis. 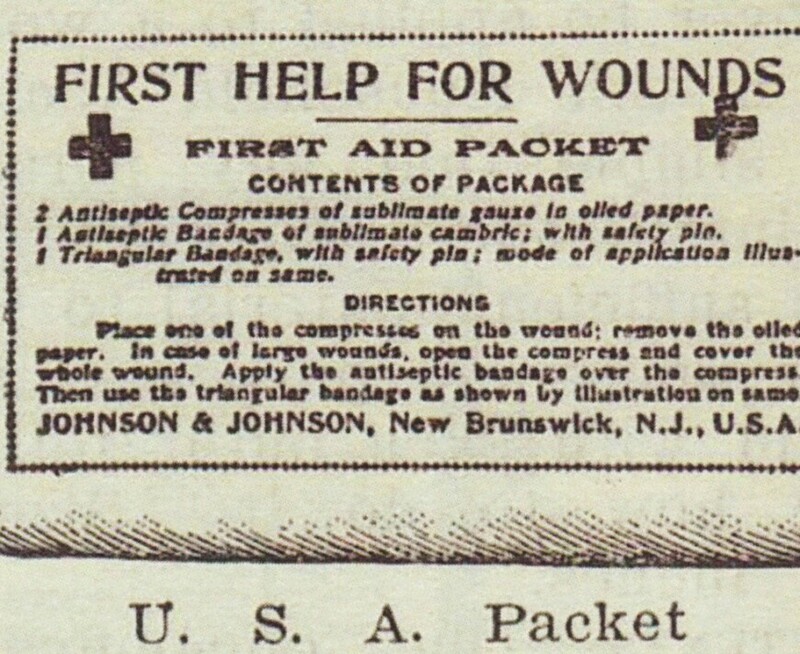 Johnson & Johnson had only been around for 12 years when the Spanish-American War broke out, and the company was called into service by the U.S. Army to help produce first aid supplies, like compresses and bandages (shown above), for wounded soldiers. When battleground demands exceeded the government’s budget, Johnson & Johnson made a moral judgment call and continued to send the supplies without compensation. 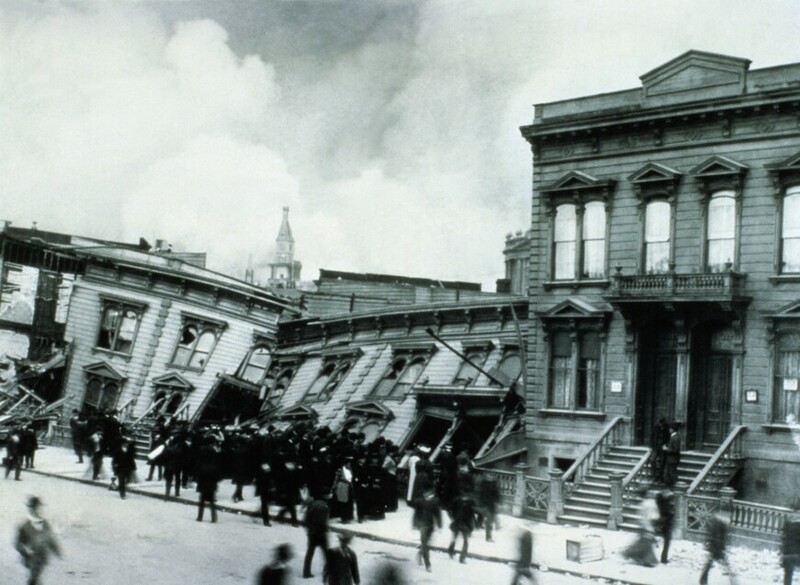 When a massive earthquake destroyed 80% of San Francisco, Johnson & Johnson responded quickly and generously. Hours after the quake hit, trains full of gauze, sutures and bandages were dispatched from the company’s New Jersey headquarters to the Bay Area, providing the city with the largest donation of post-quake medical supplies. Johnson & Johnson also reduced or forgave the bills of drugstores and hospitals affected by the disaster. The company’s response marked the beginnings of what is now one of the oldest corporate disaster relief programs in existence. During this period in our nation's history, unemployment reached 25% after companies cut costs with massive layoffs. But Johnson & Johnson took the opposite approach: Not only did the company refuse to lay off any workers, but it also gave a 5% wage increase to all employees, and shortened the work day, so everyone could keep their jobs. In 1933, Johnson & Johnson also bucked the trends of the era by opening a new facility in Chicago to help create new jobs. 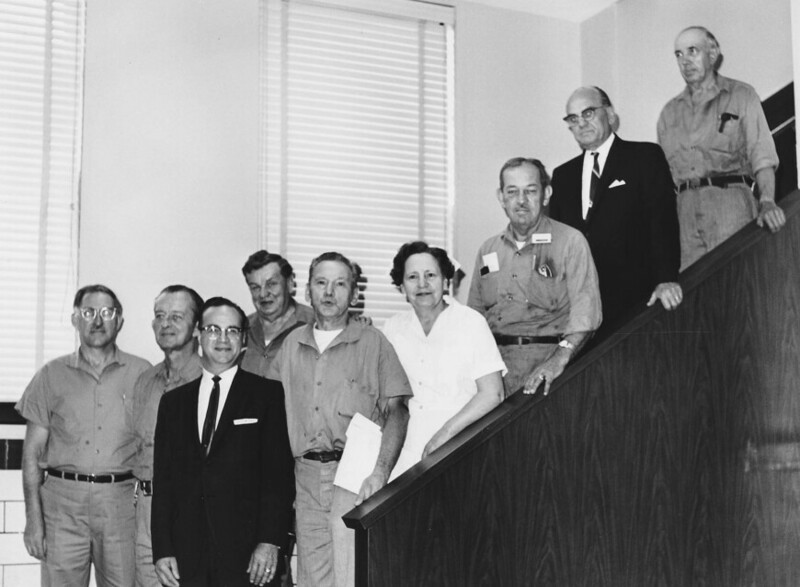 Many of those employees were so grateful for the opportunity that they remained fiercely loyal to the company—including the nine above who were still employed in 1970. Johnson & Johnson already had a well-established reputation for product innovation when the war broke out, so when the U.S. military was looking for a waterproof tape, guess who they called for help? Engineers reworked the company’s adhesive tape products to create duck tape—later known as duct tape. The military used the sturdy, waterproof tape for all sorts of repairs, including tents, boots, jeeps and, yes, duct work. The company also manufactured other products for military use, such as gas masks, airplane parts and camouflage material. 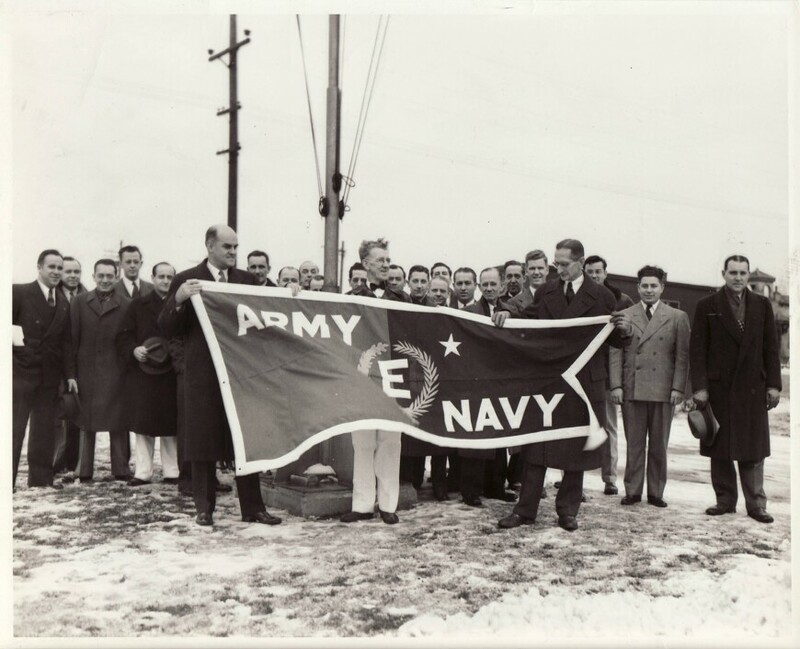 For its contributions, Johnson & Johnson received the Army-Navy E Award for Excellence—an honor bestowed on just 5% of World War II contractors. Company employees in Chicago are shown celebrating the distinction above. By the early '90s, AIDS infections were slowing in industrialized countries, but they were quickly climbing in the developing world—and mother-to-child transmission was emerging as a particularly serious problem. To help address this concern, Johnson & Johnson became one of the first corporate donors to the Elizabeth Glaser Pediatric AIDS Foundation, helping it grow to become the leading organization working to end the disease in children. 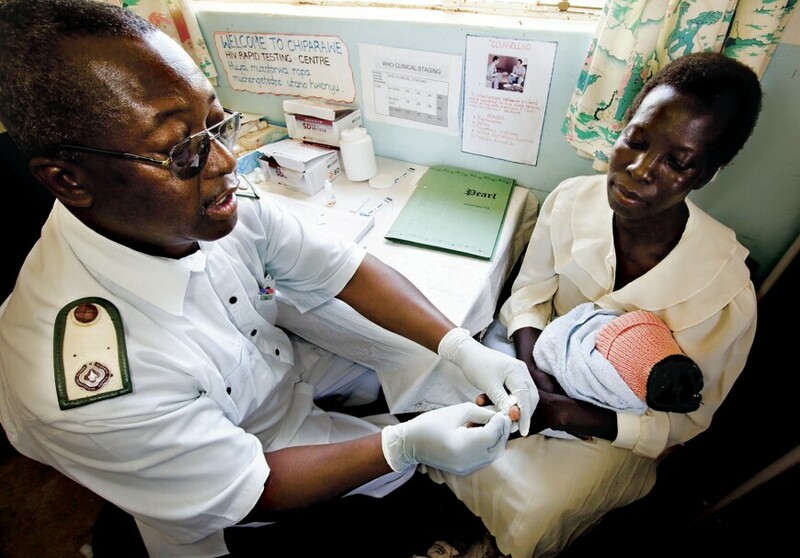 Of note, funding from the company helped the organization open an office in Zimbabwe, where the rate of mother-to-child HIV transmission has dropped from 40% to 6.7% since 2003. 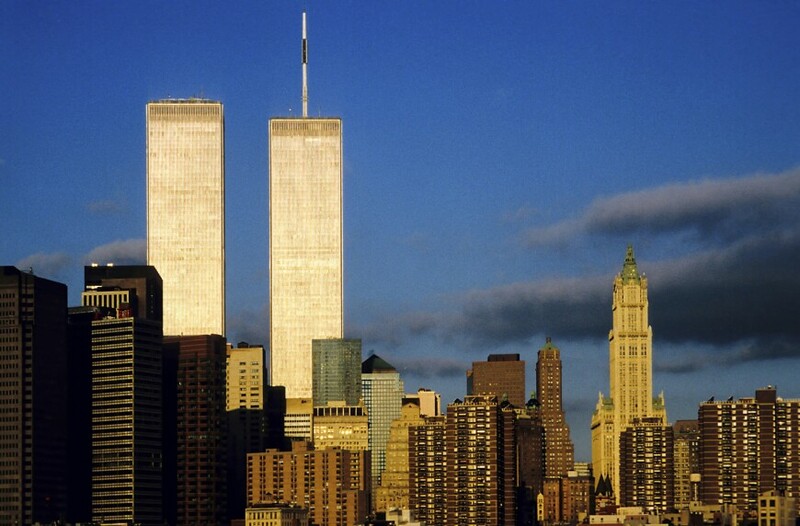 The Twin Towers were visible from the top floors of Johnson & Johnson’s New Jersey headquarters, adding a particular poignancy to a tragedy that shocked the world. The company sprang into action immediately after the attacks on the World Trade Center, arranging for medical supplies to reach St. Vincent’s Hospital—the medical center closest to the disaster site—that afternoon. The company’s distribution centers also stayed open 24/7 so that orders could be filled immediately, day or night, to help the wounded. And with civilian airlines grounded, Johnson & Johnson’s corporate aircraft received rare “Angel Flight” status to help deliver the company’s blood screening and typing products to blood centers and military bases. The monster storm impacted millions, leaving mass flooding and power failures in its wake. Johnson & Johnson's facilities staff members lent aid in a number of ways by providing fuel to police and emergency vehicles, supplying generators to local towns and even dispatching a company fire truck to a New York City hospital to help pump out water. Johnson & Johnson also joined forces with the American Red Cross, Save the Children and other partners to funnel aid to those most affected. 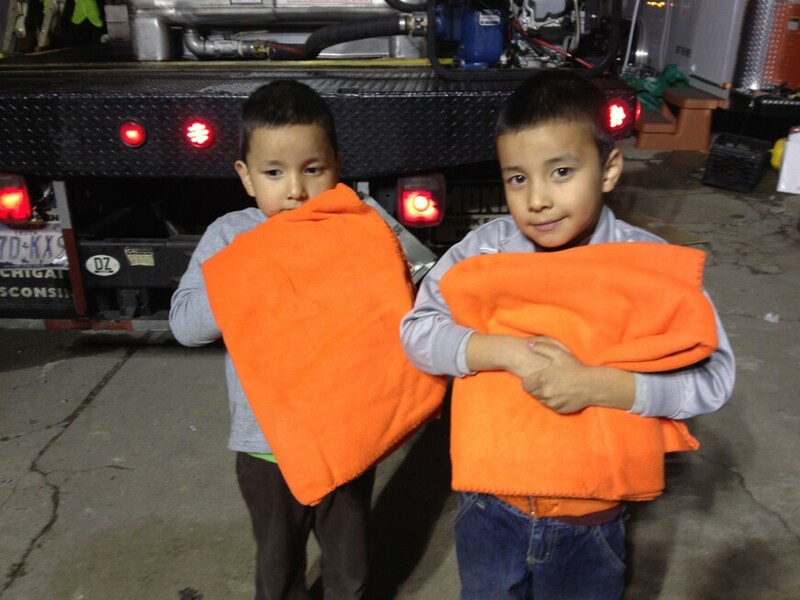 In addition to distributing 20,000 kits containing such hygiene products as Listerine® mouthwash and Aveeno® shampoo to impacted communities, the company activated its "One Child, One Blanket" program to provide comfort to kids, like these boys in Far Rockaway, N.Y. 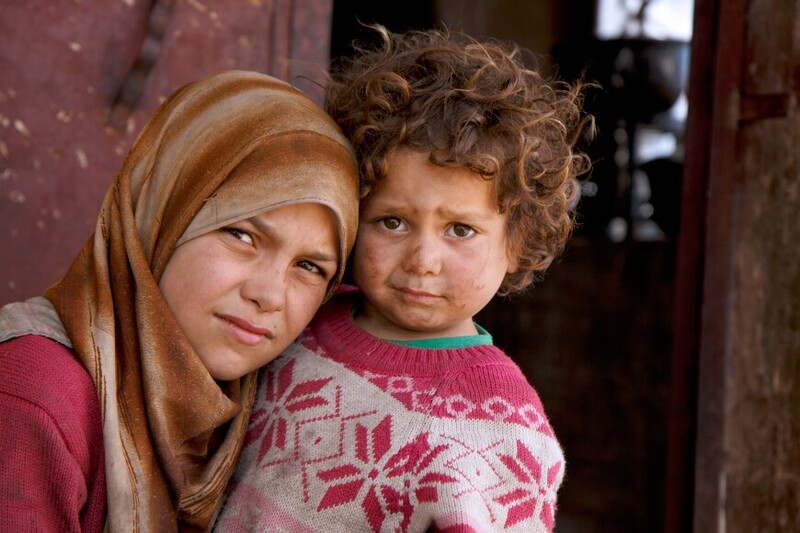 The effects of the Syrian civil war have been widespread and long-lasting. To date, 11 million refugees have fled Syria, most to neighboring countries overwhelmed by the sudden demand on their resources. Every year since 2013, Johnson & Johnson has funded a variety of services to tackle both the short- and long-term needs of these refugee families, including physician training, medical supplies and humanitarian aid. Most recently, in 2016, in collaboration with Save the Children, the company committed $1 million to fund programs designed to strengthen the resilience of refugee children and their parents. To learn more about the work that Save the Children and Johnson & Johnson are doing to help assist refugee families—and see how you, too, can contribute to the cause—check out this Humankind video series. 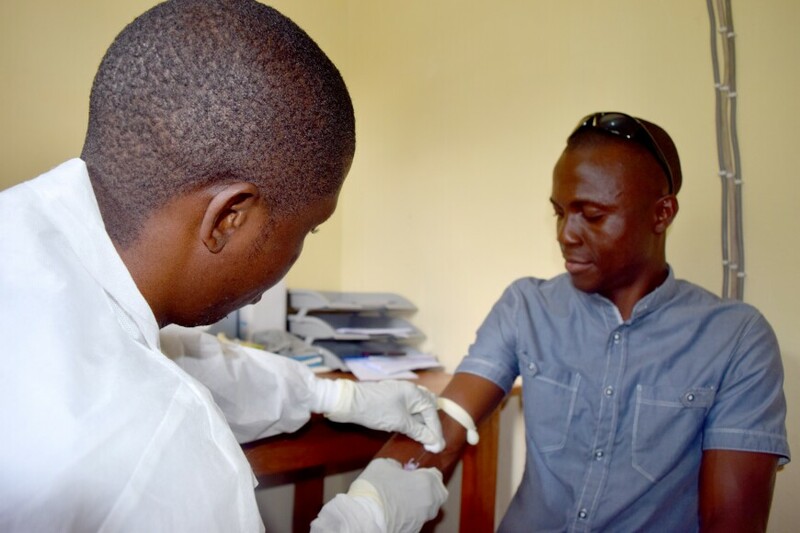 As the Ebola epidemic was raging through West Africa, Johnson & Johnson committed to accelerating and expanding production of a preventative vaccine regimen, in partnership with research institutions and other companies. In September 2016, the Janssen Pharmaceutical Companies of Johnson & Johnson applied to the World Health Organization for an emergency use listing that could potentially make it possible for the investigational vaccine regimen to be made available should another Ebola crisis strike. In addition to its vaccine efforts, the company has also supported health worker training on infection control and prevention in African countries where Ebola was prevalent. Johnson & Johnson employees came together to assist survivors of the storm, which was one of the most destructive hurricanes in U.S. history. When Hurricane Michael made landfall on October 10, it obliterated many coastal areas of the Florida Panhandle, leaving tens of thousands of people displaced. Roger Golden Roger Golden,Senior District Manager at Janssen Pharmaceuticals, Senior District Manager at Janssen Pharmaceuticals, and Wyatt Mooring Wyatt Mooring,Sales Consultant at DePuy Synthes, Sales Consultant at DePuy Synthes—both of whom live and work in the state—immediately jumped in to help coordinate relief efforts. Between 4 to 5 tons of Johnson & Johnson medical supplies were distributed to groups in need, including community health clinics, and more than 800 "family packs" were created containing 3 tons of Johnson & Johnson consumer products. 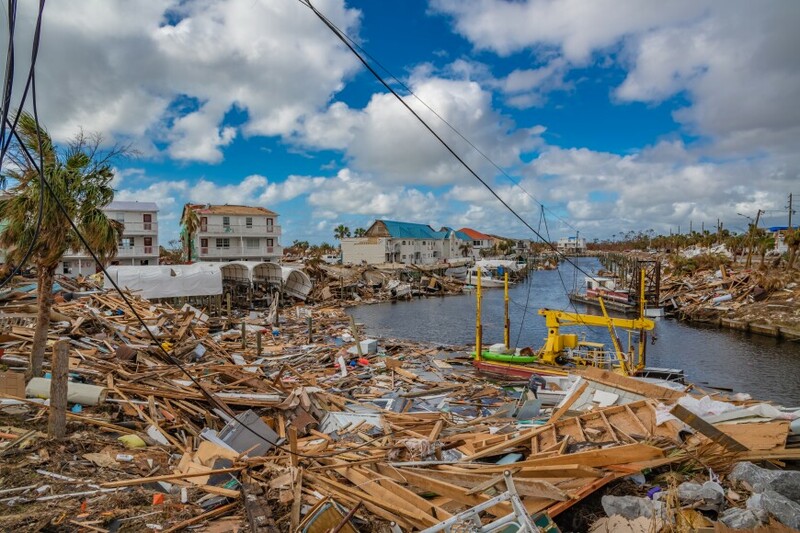 Johnson & Johnson employees across North America and Puerto Rico also donated an additional 5,000 pounds of Amazon goods, like baby formula and sleeping bags, that were distributed in hard-hit areas. Johnson & Johnson worked with state and federal agencies and local organizations to ensure that these and other deliveries, including medical supplies donated by company partners, got to the people who needed them the most. 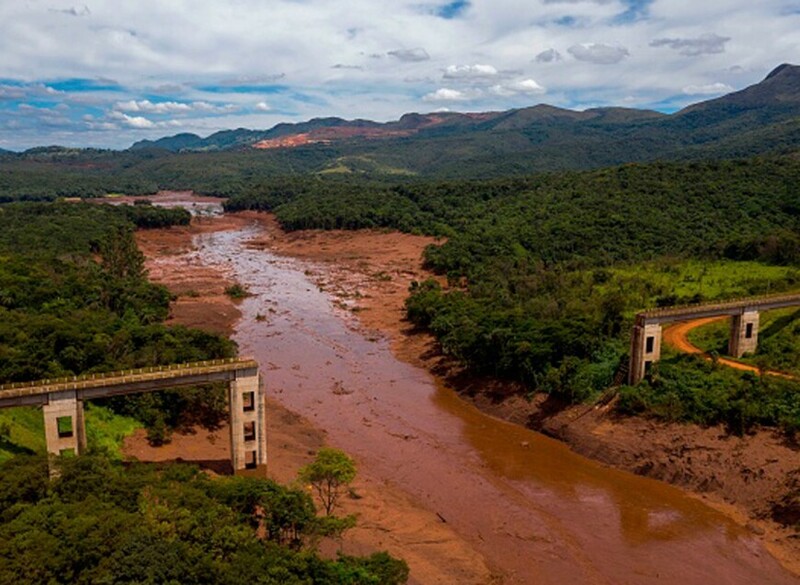 On January 25, 2019, a massive mining disaster occurred in Brumadinho, a city in southeastern Brazil, when a dam that had been constructed to hold back iron ore waste burst and released millions of tons of muddy sludge into the surrounding countryside—burying homes, contaminating the water supply and leaving several hundred people missing or dead. When executives at Johnson & Johnson Brazil in São Paulo learned of the disaster, they immediately contacted the Brazilian government to ask how the company could help. The answer: Communities were in dire need of personal care supplies for the hundreds of people who now found themselves homeless. A group of 18 employees from the São Paulo office quickly came together to assemble 500 hygiene kits (shown at right) stocked with such everyday necessities as Johnson’s® Baby Shampoo, BAND-AID® Brand adhesive bandages and Tek® toothbrushes, which are made in Brazil. 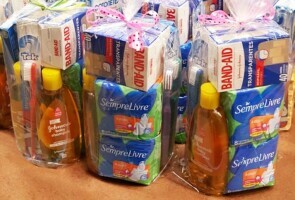 In total, 2 tons of Johnson & Johnson consumer products were donated to those affected by the disaster. "Our team was really committed and worked hard to make the donation possible," says Ewerton Nunes Ewerton Nunes,Communications Manager, Johnson & Johnson Brazil, Communications Manager, Johnson & Johnson Brazil, who helped organize the effort. "Our Credo, the company's guiding mission statement, says we have a responsibility to help our communities, and this was a great example of how we bring that pledge to life." This Giving Tuesday, help more children grow up healthy by using Wisdom by Kids, a digital tool that turns the fun things little ones say into charitable donations.